It’s been a rough week, to put things mildly. Instead of working on the overdue documents I should be finishing up for work, I decided to bake muffins. 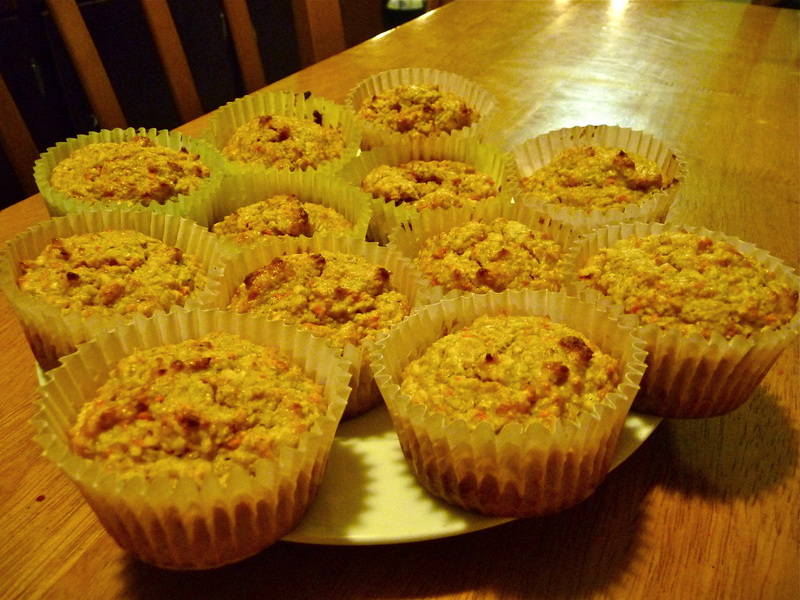 Carrot Apple Coconut Oat Muffins, to be precise. Let’s be honest, it was way more exciting than crafting sentences about unfinished activities for which we used donor money, for which we also did not accurately track data, for which we have no clear idea about their true impact on QoL (Quality of Life, don’t you know). Here’s a sample of the goods. It’s a poor photo in terms of making them look as delicious as they smell, but a good photo in terms of showing you the depressing light of my kitchen at nighttime. I used this recipe, from Daily Unadventures in Cooking’s blog, but altered it a bit based on what I had on hand. I followed her method of using the food processor for all the mixing, which was handy. Baked at 400 for 12 minutes. The final result is OK, but because I tend to reduce the sugar in things and throw in random ‘substitutes’, they didn’t turn out as awesome as I thought they’d be. I will happily eat them, but that’s because I like baked goods that aren’t as sweet as you typically get them in a cafe or store. Not sure if they would be as popular with the masses.